I don't read too many books these days. Blame video games & comics for that. 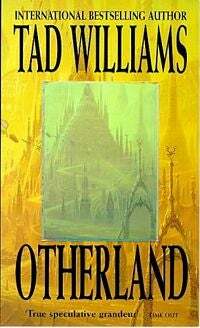 But back when I did read books, one of my favourite series of all time was Tad William's Otherland series. Which, despite first appearing over ten years ago, did a pretty good job of depicting a future world hooked on MMOs. So imagine my surprise/delight/concern when I see that Real U - a new studio comprised mostly of ex-Melbourne House staffers - are making an MMO out of the series. As background, know that the books consist of a bunch of people travelling between virtual worlds, from WW1 France to a house that's a world to a dystopian, war-torn Oz. If the MMO lets you do as it's setting out to, and let you jump between completely different worlds like that, it'll at least be interesting. Hamburg, Germany, 01 October 2008 – dtp entertainment and the development studio RealU, based in Singapore, today announced the MMOG (Massively Multiplayer Online Game) Otherland. Otherland, based on the best-selling novels by fantasy author Tad Williams, will appear for the PC in 2010. Game fans can expect a completely new MMOG experience with Otherland. Based on the Unreal Engine 3, Otherland will set new technical standards for the MMOG genre. ‘Unreal Engine 3 is the basis for our client side game and graphics engine. To push it over the top our developers have also made countless additions to ensure outstanding graphics quality over huge environments. At the same time our artists and engineers are exploring the boundaries of Unreal Engine 3 to create fresh new visual styles for the game. At Real U we are developing completely new architecture that allows us to build a groundbreaking MMO game with Unreal Engine 3 at its core,’ says Andrew Carter, CEO RealU. MMO fans can also expect a fascinating gameplay experience. Based on the globally successful novels, the Otherland gameplay is distinguished by a unique narrative structure. Rather than retelling the story, players will experience their own individual stories within the Otherland universe and will encounter many of the familiar characters from the books. The game world will change dynamically around them during the course of the game. Starting from the player lobby Lambda Mall, an Entertainment, Meeting and Communication centre, players will teleport into a wide variety of game worlds. As in the books, virtual reality is a central topic of the game. Nothing is what it appears to be at first glance in this futuristic vision from the pen of Tad Williams, who played an important role in the development of the game. ‘Tad Williams visited us during the conception phase and was very actively involved in the realisation of this project from the beginning,’ comments Andrew Carter. ‘Because this is a MMOG, a linear storyline would not be feasible. Therefore, we had to find an alternative way of telling a story. I think we have found a terrific combination of innovative narration and faithfulness to the books,’ Carter continues. Andrew Carter is the leader of a development team, now consisting of 80 people, based in Singapore. The international team is composed of game experts with years of experience in the gaming industry. The core team had previously worked at Melbourne House, EA, THQ and other major international studios. RealU is a 100 % subsidiary of dtp entertainment AG. ‘Otherland is the largest game production in the history of our company. We see enormous potential in the untapped Otherland licence, which the experienced RealU team and mastermind Andrew Carter will implement in a unique game experience,’ says Markus Windelen, COO dtp entertainment.